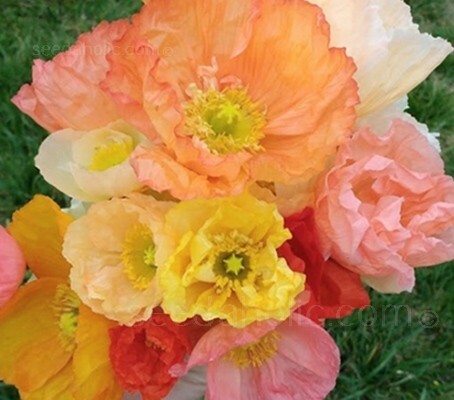 Papaver nudicaule ‘Kelmscott Giants’ produce large, luscious, crepe paper-like petals in an array of soft pastel shades of pink, coral, yellow, orange, rose, white, cream and stunning bicolours. Named after 'Kelmscott Manor', the country home of the writer, designer and socialist William Morris, the single papery, lightly fragrant blossoms flowers unwrinkle their petals into a wide-spreading saucer shape, to 12cm (4in) across. They start flowering early in the summer and continue to bloom over several months, producing dazzling splashes of colour when planted en masse. Known as the Iceland Poppy, Papaver nudicaule is a hardy perennial native to the arctic regions of North America and extending eastward in cooler climates. It is a favourite garden plant in the cool coastal climate of the Pacific states. Easy to grow from seed, if sown early they will flower in their first year. In warm winter climates they are planted as an annual or biennial because being short lived perennials they rarely last more than three years, Papaver nudicaule is low maintenance and frost tolerant, it can survive cold winters where the average annual low is -29°C (-20°F). Papaver nudicaule is recommended by the RHS to be an excellent attractant and nectar source for bees and other beneficial insects. Iceland poppies, like all poppies, possess minute seeds and long taproots that resent disturbance. They are easier to transplant than other types of poppies but still can be difficult to re-establish. Sow indoors in February-March to flower the same year or sow directly outdoors where they are to grow in May to July to flower the following year. Sowing Indoors: Late Winter to early Spring. Use small pots, rather than trays, to minimise root disturbance when transplanting and sow at maximum 16 to 20°C (60 to 68°F). Cover with a very fine layer of vermiculite. The seeds of perennial poppies need light for germination. (Annual poppies need the dark). Keep moist but not wet at all times. Germination takes between 10 to 14 days. It takes three to four weeks to get to the first true leaves, and nine weeks to get from seed to a transplantable sized seedling. Prick out each seedling when they are 5t to 10 (2 to 4in) tall and transplant to larger pots to grow on. Gradually acclimatise to outdoor conditions for 10 to 15 days before planting out. Space 45cm (18in) apart. Crowding will give you spindly plants. Sow in short drills 1cm (½in) deep once temperatures reach around 20°C (68°F). Prepare the ground well and rake to a fine tilth before sowing. Mark the sowing areas with a ring of light coloured sand and label if sowing more than one type in the same bed. Sow 1.5mm (1/18th in) deep in rows 25cm (10in) apart. Seeds germinate in 10 to 14 days. The seedlings will appear in rows approx 6-8 weeks after planting and can be told from nearby weed seedlings quite easily. Thin the seedlings out so they are finally 45cm (18in) apart by early summer. Compost should be kept slightly moist, but not wet at all times. Deadhead spent flowers to lengthen bloom. Plants need excellent winter drainage, if grown as perennials, let the soil dry out as they go dormant in late summer. Iceland Poppy makes superb cut flowers lasting up to a week if the flowers are cut in bud and the stalk tip either scalded in boiling water, plunge the bottom third of the stem into boiling water for five seconds, or seared with a flame (so that their white latex doesn’t leak out) before being placed in a vase. Poppies will usually bloom in the morning and will usually pop open within the same hour. It depends on the heat and sun, but they Poppies are best picked when slightly unfurled, but not blown wide open. To avoid damage and to also avoid bees that will shorten the life if they pollinate the flowers, try to harvest them early perhaps 7 to 8am in the morning. Mark the seed heads you want to save seeds from by putting a twist tie or strand of wool around the stem. Harvest seeds when openings develop at the top of the seed pod. Remember that if you let the plants go to seed; it will greatly reduce their longevity, so deadhead those plants that you wish to keep. This polar species has subspecies and variants growing wild from Iceland to Finland to Siberia to Alaska and northernmost Canada. Cultivated forms were planted along Alaskan highways in the early 1980s until it was realised they were a threat to the native subspecies. By then it was too late and hardy cultivated forms had already naturalised far and wide, so are now a permanent addition to Alaska's wild landscapes. First described by botanists in 1759, the wild species blooms in white or yellow. P. nudicaule have been studied genetically, particularly with respect to flower colour. The white flower colour is dominant with respect to yellow. Other colours, such as buff and orange, are recessive. Pronounced - pah-PAH-ver new-dee-KAW-lee. it was formerly called Papaver croceum and P. miyabeanum, it has the synonym Papaver amurense and P. macounii. The Latin specific epithet nudicaule means 'with bare stems'. Each plant features a clump of pinnately lobed basal leaves from which rise slender, leafless flower stems to 30 to 60cm (12 to 24in) tall. Named for 'Kelmscott Manor', the country home of William Morris. A writer, designer and socialist, he was the main influence on the Arts and Crafts movement. Morris also named his London residence 'Kelmscott House' and the publishing firm in Hammersmith that he founded 'the Kelmscott Press'. 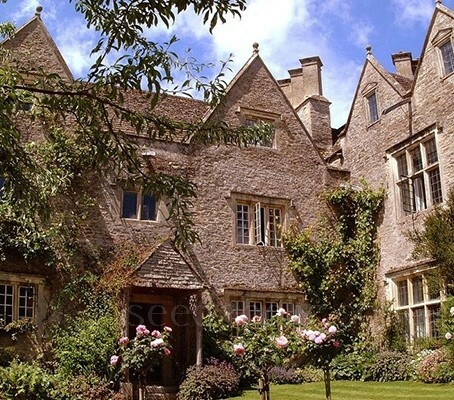 Kelmscott Manor is a limestone manor house in the Cotswolds village of Kelmscott, in the remote rural village in a tranquil corner of West Oxfordshire, southern England. It dates from around 1570, with a late 17th-century wing, and is listed Grade I on the National Heritage List for England. It is situated close to the River Thames, and it is frequently flooded. 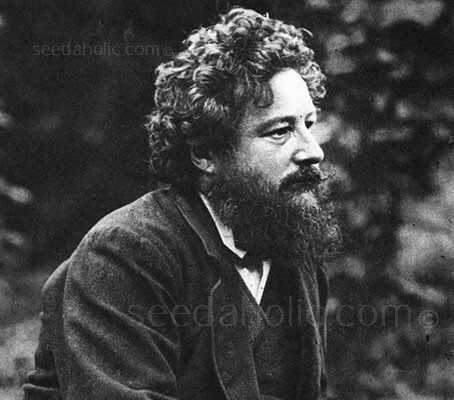 It was the country home of the writer, designer and socialist William Morris from 1871 until his death in 1896. Today it is owned by the Society of Antiquaries of London and is open to the public on Wednesdays and Saturdays during the summer. Morris drew great inspiration from the unspoilt authenticity of the house's architecture and craftsmanship, and its organic relationship with its setting, especially its garden. The Manor is featured in Morris' work News from Nowhere. It also appears in the background of Water Willow, a portrait of his wife, Jane Morris, painted by Dante Gabriel Rossetti in 1871. The internal decor today is substantially that of Morris and includes many of his famous textile patterns as well as much of his furniture. There is a display of his textile designs in the converted loft, which would originally have been used for farm labourers. His bedroom contains many of his original books, and a collection of Dürer prints. Visitors today can still experience the beauty and seclusion that inspired many of William Morris's most important designs and writings and influenced his ideas on conservation for both the built and natural environments. This seventeenth-century, Grade One listed Manor house by the river Thames, perhaps the most evocative of all the houses associated with Morris, contains an outstanding collection of the possessions and works of Morris, as well as of his family and associates (Benson, Edward Burne-Jones, Rossetti and Webb among them) that includes furniture, original textiles, pictures and paintings, carpets, ceramics and metalwork. He was buried in the village churchyard in a tomb designed by his friend and colleague Philip Webb. William Morris met his future wife, 18-year-old Jane Burden, in Oxford. Rossetti posed her for this photograph. Morris and his friends were mesmerized by Jane’s ethereal beauty and she immediately became their model and muse. Jane had grown up poor and uneducated. William Morris arranged a whirlwind education for her, which she thrived on. Before long, she could hold her own with the most sophisticated of Morris’s friends, and she was perfectly at home in society. They married in 1859. Many people think Jane was the inspiration for George Bernard Shaw’s play “Pygmalion.” The playwright was a friend and frequent visitor to the Morris family. Later, Jane admitted that she always liked Morris, but never actually loved him. This spelled trouble. No sooner had Morris settled his family in the house than he set off on an extended trip to Iceland to study the hero sagas. He wrote and illustrated several books about Icelandic folklore over a period of two years, during which Jane was involved with Rossetti in the home they all shared. According to a Kelmscott guidebook, Morris was being a gentleman by going off to Iceland: making himself scarce so that the relationship between Jane and his friend could run its course (which it did). 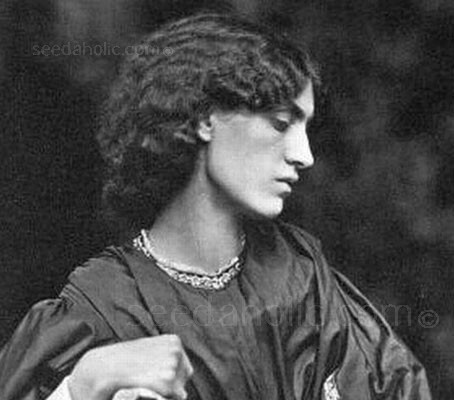 Rossetti was a bit of a ladies’ man, and Jane was irresistible. He painted her many times, before, during, and even after their liaison.